This year’s event will prove to be the best one yet . . . Taste of Westport is back and is being held at the Westport Inn from 6-9:30 on May 5. Some new as well as some tried and true local restaurants will have plenty of food for tasting, there will be freshly shucked oysters, desserts, and plenty to drink like wine and cocktails. While you’re wining and dining the night away check out the reggae vibe of Beto Petrillo and Rob Russo and the jazzed up duo of Matt Criscuolo and Tony Purrone. There will also be auction items like tickets to see Billy Joel, The Daily Show, pearl necklaces, dinner at Michael Jordan’s steakhouse, and more. Tickets are $75 if you buy them online or $85 at the door with profits going towards CLASP Homes of Westport. CLASP is a 34 year old organization providing homes and opportunities for people with autism and other developmental disabilities. Its programs foster independence, dignity and continued growth for its clients at its 21 residences in seven area communities. CLASP collaborates with area businesses to match the capabilities of its clients with the needs of these companies. 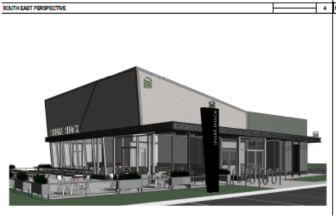 An artist’s rendition of what the new Shake Shack would look like, picture from Shake Shack’s presentation to Darien. according to Darinite.com and David Gurliacci, will come in the late summer to early fall of 2016. The spot? The old Chuck’s Steakhouse (1340 Post Road) that recently closed down. Now, Shake Shack with their frozen custards, fries, burgers, and dogs will be an easy turn off of 95 to get your fill and go. To read more about Shake Shack’s plans and some trouble that they might have with signage, be sure to check out Darienite.com! If you’re looking for the latest, the best, and the freshest guide to food events, specials, dinners and CT beer news, look no further! Remember that this weekend is the Greenwich Wine + Food Festival, so we hope to see you . . . and don’t forget about our ultimate guide to beer fests, events, and Oktoberfests in Connecticut! Have a great weekend everybody! Or was it that the Cocktail Menu took us down? Yeah, once you see what we sampled, you’ll probably bet on the latter. 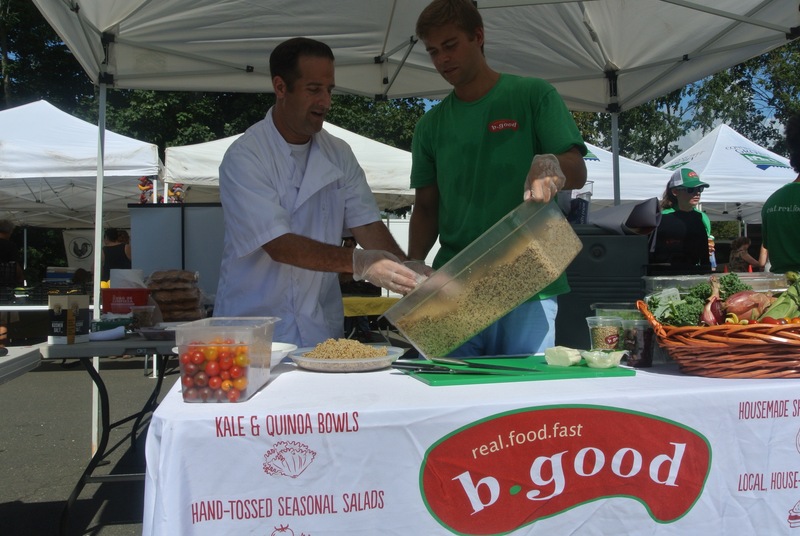 The day we visited was a big day in New Canaan—not only was the farmers’ market going on, but it was also their annual sidewalk sale. 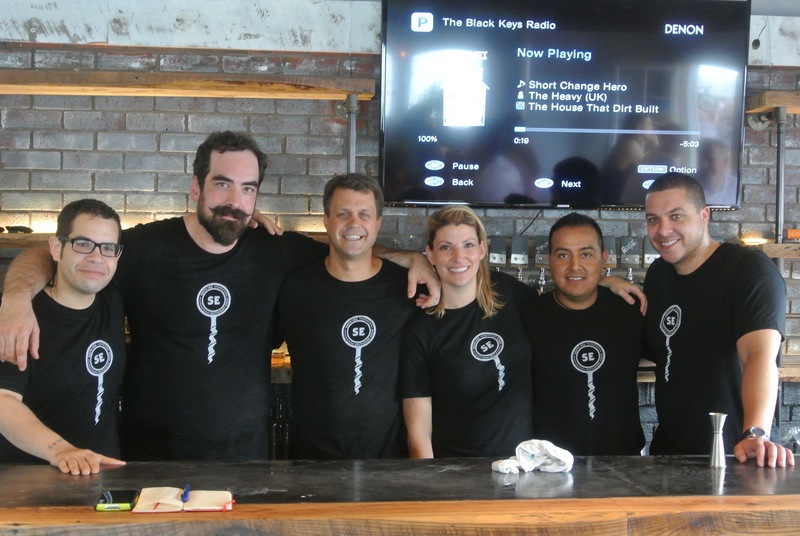 As we worked our way through the maze of people we found South End Uncorked chef and owner Nick Martschenko cooking up some lamb merguez to give passerbys a first tastes of what his restaurant would be like. “Do you want to try one?” he asked Dan. It didn’t take much convincing at all and the order was in. The sausage was spicy, had a ton of deep flavors, had just the right amount of lambiness (you know what we mean), and had a fresh contrast with the tzatziki sauce on top. We thought, if this is what the food will be like, we’re in! But, we’re not here today to talk about food. Nope. So let’s get to it. 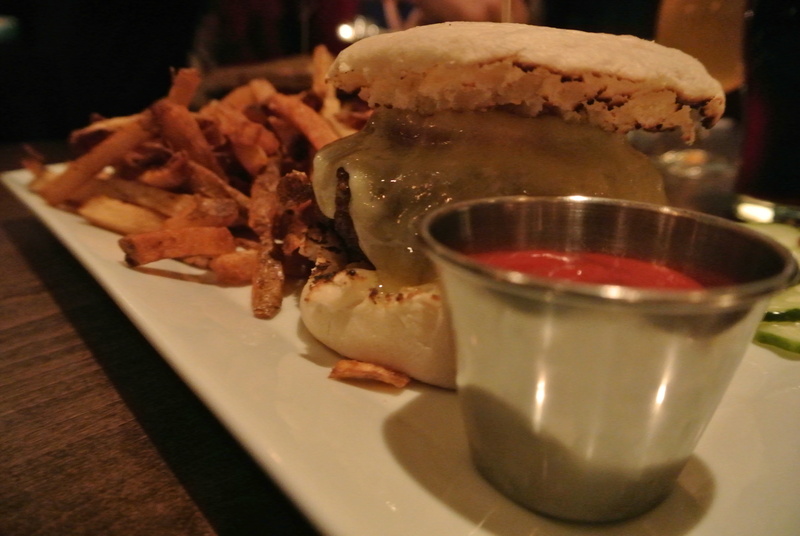 It’s two straight weeks of wicked good restaurant deals at some of the best places in Stamford. Oh yes, it’s happening again: Stamford Summer Restaurant Weeks. All you need to do is check out one of the 27 restaurants listed below for lunch or dinner from 8/17 until 8/30 and ask for the prix fixe menu and you’ll be all ready and set to nom away.